Sometimes I asked myself why Google isn't thinking of possible problems ahead. So the Android Market is no more. 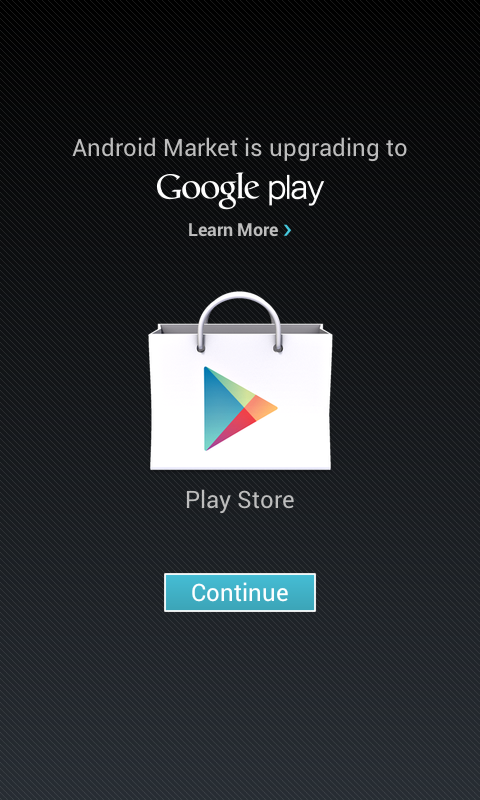 It's now called Play Store withing something that is called Google Play. The move is logical since there are not only Android-Apps in that store, but also movies, music and books. At last in the US. Who knows what else will follow. The selection of the name is somewhat wondering. Sony surely doesn't like to hear that. I mean "Playstation Store" is what they call their place for quite some time. Now Google comes up with "Play Store". I hope they have discussed this with Sony. The new logo looks nice and clean. The same goes for the official Music-app. Google Music is no more, It's now "Play Music". Also a new icon, which looks a little bit polished, but stays the same. Too bad they get rid off the blueish design. The transition was expected. It makes sense in the US. European users may have wondered why they have to accept new terms and why it is renamed at all, when in the end, everything will be the same for them. No books, no movies, no music. Users also may have discovered that, despite what language they set in the preferences, they now see the language of the country they are in. Not nice. So let's see if Sony is okay with that name. I would have gone for Google Store.